I HAPPENED upon this picture while browsing the net the other day and instantly fell in lust. But I hear some of you say “gold leather”? I love anything that glitters and shines … within reason. No, I’m not a bower bird, but I love how lustre and luxe fabrics can take any outfit – day or night – to another level. 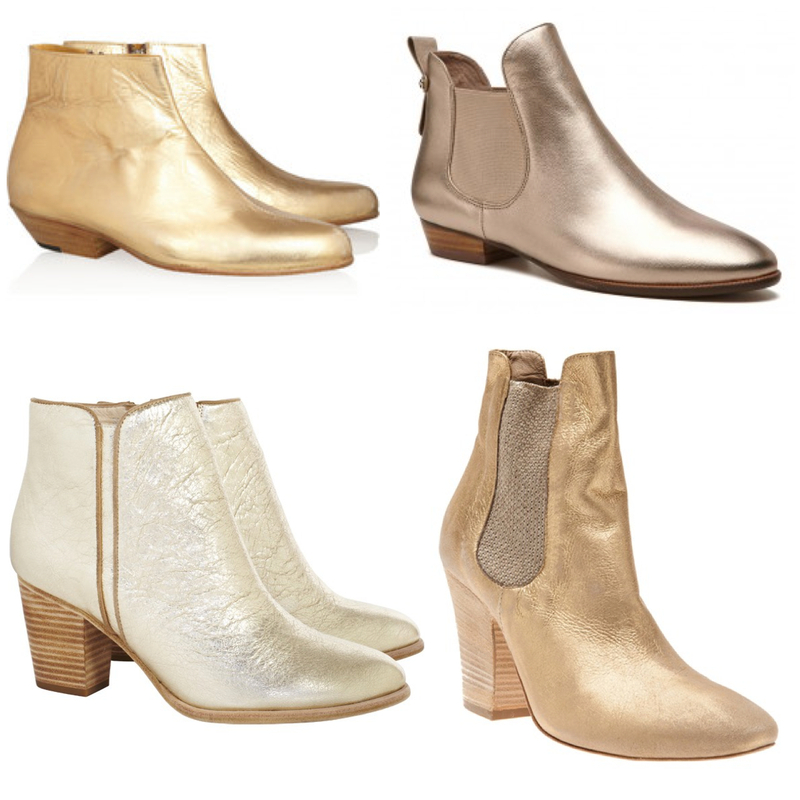 And anything with shine, particularly metallic, is very on-trend at the moment. But back to the boots. If I could find them, I would buy them. But alas, they’re just a pretty picture someone uploaded as inspiration. Hey, it worked for me. So I need to justify why I uploaded it. d) a girl’s just gotta have a pair of gold boots! Don’t overdo the shine factor. Keep it to a minimum as a stylish woman doesn’t want to draw too much attention; her personality needs to shine! Ideally use as a highlight with accessories – shoes, bags, scarves with a metallic thread or belts. And keep the colour tone the same. If you choose something from the gold family (and that includes rose gold), make sure all other accessories, jewellery or hardware are the same. However, if you’ve just outlaid a small sum for a gorgeous gold top or an over-the-top leather coat (very on-trend), you’ll want it to be the main focal point. So don’t wear anything that will compete with or detract from it. Giovanna Battaglia (above), editor of L’Uomo Vogue, shows how it’s done. Allow its moment to shine! If you know what I mean. and Sambag Riley crushed metallic leather boots.